Regal, majestic, stunningjust a few words that could be used to describe this 18k white gold ring. An emerald-cut sapphire is surrounded by a halo of pavé-set diamonds, which is in turn surrounded by a halo of pear-shaped diamonds. 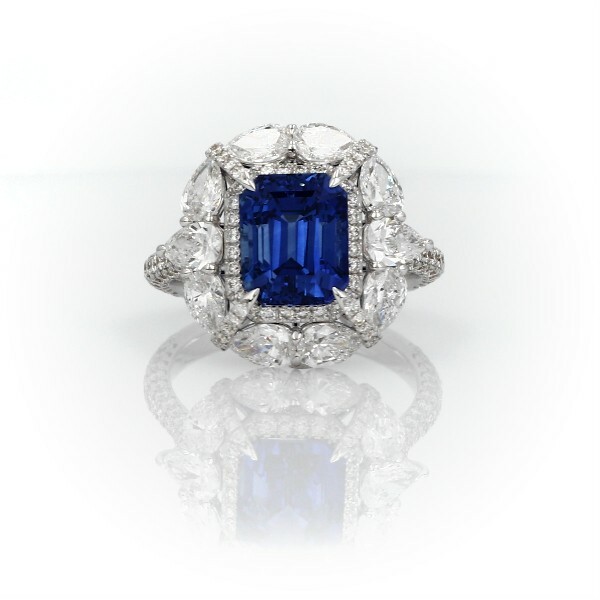 More pavé diamonds grace the prongs that hold the sapphire in place, as well as the shank. Superbly crafted and absolutely breathtaking.